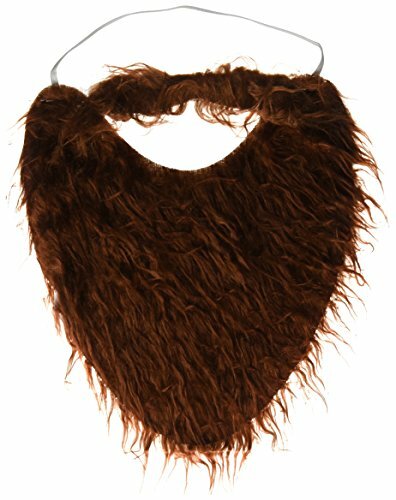 Great for Halloween, school plays, theatrical performances and fake disguises. Trim-able to suit adults or children. Dress up as a pirate, Jesus, etc. Attached elastic band for a sure fit. If hair is good for hangovers, this beard is a definite cure. 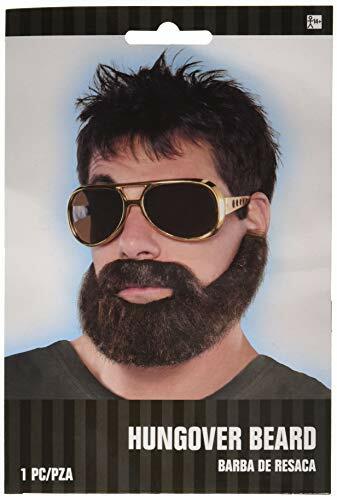 Hungover beard/mustache is a full flush of facial hair, a bushy but neatly trimmed synthetic fiber beard with a connected thick moustache, all held in place by an elastic strap. No adhesives are required, so the beard is easy to apply and remove, even when your fine motor skills are not at their absolute best. 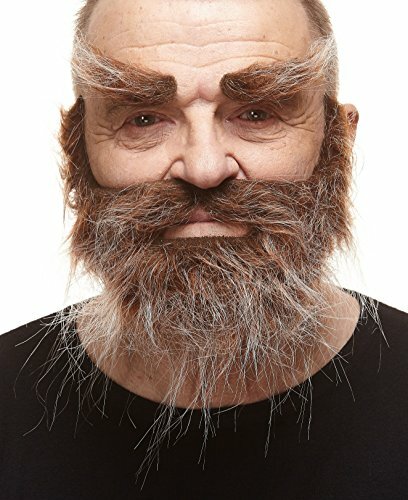 These real size self-adhesive beard with mustache and eyebrows are handmade. 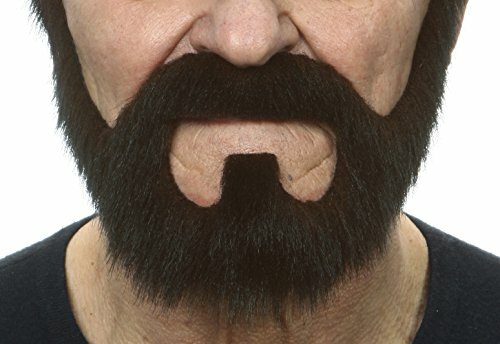 They are attached by means of a specific 3M medical plaster (on the back side of beard with mustache and eyebrows). This anti-allergic plaster does not irritate the skin, is easily stuck and removed. If necessary beard, mustache and eyebrows may be cut, combed, or shaped by wet hands or simply by hair spray. If you want to apply the beard several times, use new medical plaster or two-sided sticky tape. 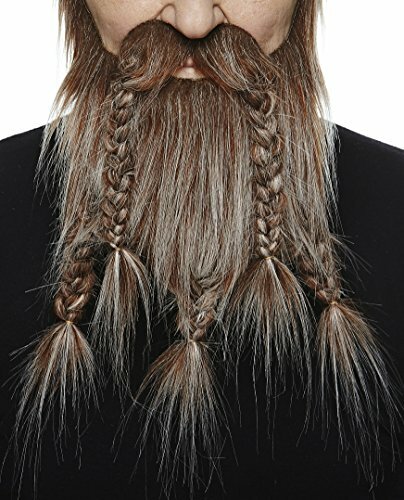 This real size self-adhesive beard is handmade. 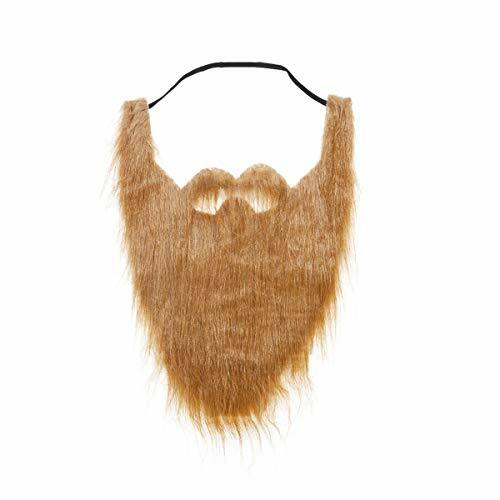 It is attached by means of a specific medical 3M plaster (on the back side of beard). This anti-allergic plaster does not irritate the skin, is easily stuck and removed. If necessary this beard may be cut, combed, or shaped by wet hands or simply by hair spray. If you want to apply the beard several times, use new medical plaster or two-sided sticky tape. 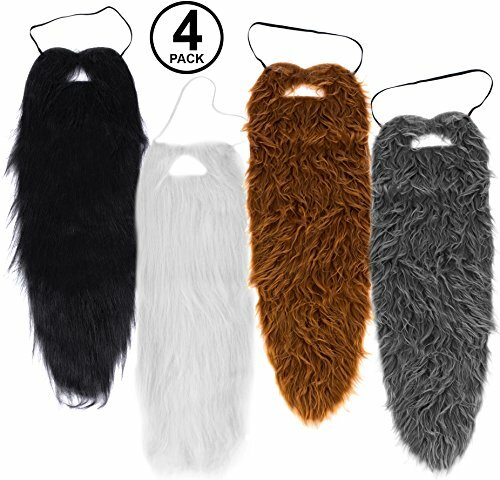 Costume beard set includes black beard, grey beard, white beards, and brown beard. 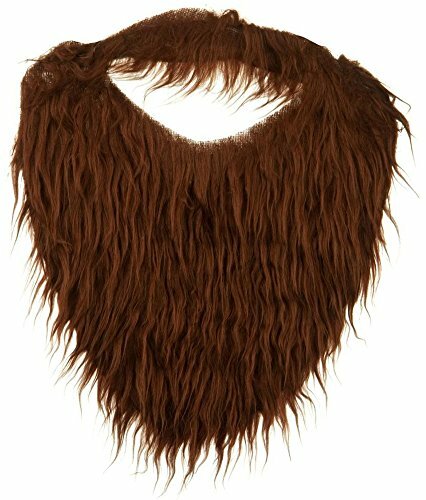 High quality costume beards are a one size fits most adults and teens. Beards measure approximately 23 inches. Comfortable east to wear beards come with elastic bands to keep in place. https://johnblakeswigs.com Our facial hair is hand tied on fine Swiss lace, using human and yak hair. There are seventeen blended colors to achieve a natural look from blonde tones, brown tones, red tones, and grey tones to the purest of white.